Could ‘Black Seed Extract’ hold potential cure for AIDS? A remarkable case study in a HIV positive patient, who was treated with black seed extract, resulted in a sustained remission, which indicates that it is a safe, accessible and affordable alternative to highly toxic antiretroviral HIV drugs that may already exist. 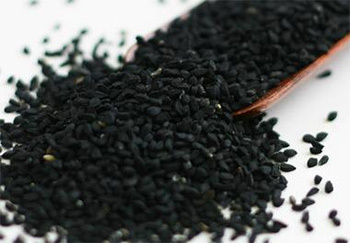 Also known as ‘black seed’, Nigella sativa has been under study for a range of health benefits, but, recently it has also been found to be a curative agent for potentially lethal viral infections, including Hepatitis C and now, HIV. The case study, published in the African Journal of Traditional, Complementary and Alternative Medicine, described an HIV patient, who, after undergoing treatment with a black seed extract experienced a complete recovery, with no detectable HIV virus or antibodies against HIV in their blood serum, both during and long after the end of therapy. This was a remarkable observation, according to researchers. They said that Nigella sativa possess several therapeutic medicinal benefits, but, its reversion of HIV infection is very rare, despite extensive therapy, which is highly active anti-retroviral therapy (HAART). On the other-hand, the standard care offered for HIV treatment globally, anti-retroviral therapy, remains highly controversial, partly due to the adverse health effects of the drug, which may be more than that associated with the HIV infections, itself. Further, drug therapy may also place pressure on HIV virus to mutate and gain resistance. Finally, the ultimate death of the patient is attributed to the disease itself, rather than the treatment. This is the reason that ancient healing food like black seed is considered generally safe, affordable and accessible, and the fact that it could hold a potential cure to HIV makes it more interesting. Ayurvedic medicines bring hope for this disease, as they are completely safe and decrease viral load permanently. Patients are treated with a combination of medicines and Panchakarma body detoxification therapies, apart from usage of medicines. Ayurvedic centres provide treatment schedule of one to three weeks, wherein the patient is provided food and accommodation along with yoga training, acupressure, panchakarma and other detoxification therapies and medicines. Ayurveda associates AIDS with “Kshaya” or “Ojakshaya”, which means ‘loss of energy’. Ayurvedic texts like Charaka Samhitha, Vaidyachintamani, Bhavaprakasha, mention the symptoms and causative factors and treatment for the disease. Major symptoms associated with the disease are loss of appetite, drastic weight-loss, fatigue, lethargy, susceptibility to allergies, and contagious diseases, skin irritations, bronchial disorders, tuberculosis of lungs, damage to intestinal flora, varied body temperature, prolonged fever and sleeplessness. Ayurvedic supplements are harmless without any side effects and there sure will be improvement, and not deterioration. As for general Ayurvedic line of treatment, the first step towards treatment is to ensure a good and healthy atmosphere for the patient. The patient should be given nourishing food that is easily digestible. He can continue to do easy exercise that does not strain his fragile health. He should continue to engage himself in fruitful activities. The patient is given tonics and rejuvenators to boost immunity levels, to strengthen the system and stimulate appetite. After gaining strength, ‘shodhana’ techniques are used to expel body toxins by way of enemas, purgation and emesis. The medicines administered are gentle enough for the patient to withstand. As a second step, the blood is purified with appropriate medications. Liver corrective measures are taken care of, and various immune-modulator medicines and antiviral herbal combinations are used in the patient. A strengthening diet, along with medicated ghee preparations and soup are recommended. The Asavams and Arishtams of Ayurveda act as carrier to aid digestive process, and remove blockages in the flow of “Rasadi dhatus”. Patient is also advised to continue regular exercise. If the patient is weak and incapable of exercising, ‘swedanam’ (steaming) is recommended, as it helps destroy virus in some cases. The herbo-mineral compounds prepared based on the formulae prescribed by sages like Agasthya, Charaka, Sarangadhara and others are used for treatment of the disease, and they have yielded beneficial results in improving condition of AIDS patients. Certain specific ayurvedic medications like ‘Amrutjeewan Rasayanam’, ‘Raktavardhak’ for immunity building and ‘Sookshma triphala’ for keeping infection at bay, may be of help.